Home »Blog » Mobile Phone Parental Control – Should you use spy software? Mobile Phone Parental Control – Should you use spy software? Nowadays, children grow up surrounded by technology and they become familiar with mobile devices from an early age. It is common to see toddlers playing with tablets or smartphones and there are many apps specially designed for kids. Many teenagers and even younger children have their own mobile phones and these gadgets are a practical option for parents to stay in touch with them. In most cases, kids are getting smartphones, which don’t only handle calls and text but that also allow access to internet. While this can be practical in some cases and as mentioned, there are many apps suitable for children, there is also a risk that they access content that is not suitable for their age or that they engage in conversation with strangers through social media websites and messaging apps. In spite of the risks involved, not giving children the chance to have a mobile device may not be the right solution. Technology is convenient and allowing kids to own a smartphone has many advantages. However, there are some measures that parents should take in order to ensure that their children remain safe. Making sure that you have control over the way the device is used, before you give it to your child, is essential. Although you may not be able to always keep an eye on your kids as they use their devices, there are practical parental control tools that will give you peace of mind. Here we will discuss what these parental control and monitoring tools can do to help you to keep your kids safe. You can manage or block access to internet. Parental control apps give you the possibility of preventing children from accessing websites that are not suitable for them. While there is a great deal of educational content available online, there are also many websites that are simply obscene and potentially harmful. You can prevent kids from accessing such websites or from using inappropriate apps with the help of parental control tools that allow you to filter the content they see available. Additionally, you can set up time limits to make sure that your children don’t spend too much time online. When it comes to monitoring software it is important to note that it can be used to follow the activities of your children under 18 on their phones. There are solutions like Text Guard and Mobile Watching, which offer useful features but don’t work in stealth mode. This would be good options if you are monitoring the phone of a younger child or if you have informed your teenage kid that the phone is going to be monitored. Ideally, parents should build strong communication and trust with their kids. However,the truth is that teenagers are exposed to many dangers and they may not listen to their parents or keep some things hidden from them. In this case, a spy app that works in stealth mode is a better solution because your kids won’t be aware that they are being monitored. As parents, it is important to do whatever we can to protect our kids and in many cases, keeping an eye on their chats, emails, texts and calls is the only way to make sure that they are not in danger. Spy Software is the best option if you need to monitor your children without being noticed. Once the app is installed on the targeted phone, it runs in stealth mode without leaving any trace. These apps are ideal for getting access to your child’s conversations and to see the websites they visit or the apps they use. The best solutions in this category, also allow you to keep track of your child’s location so you will know if they are actually where they say they would be. When it comes to spy software, there are many options available but below, we will present a list of the best ones. Keep in mind that you will need to install the app on the phone that you wish to monitor. It is advisable that you set up the app on the device before handing it to your child. mSpy is one of the most popular spy apps in the market due to its impressive set of features. It supports app blocking, which means that you can prevent kids from accessing specific apps. You can block Facebook, YouTube and other options to make sure that your kids don’t get access to inappropriate content. You can easily set up your blocking preferences in the control panel of your account on the mSpy website. You can see the apps that your kids have installed on their phones and will get access to their activities on Social Media sites like Facebook, Instagram or Twitter. mSpy also allows you to lock or unlock the target phone remotely through the control panel. 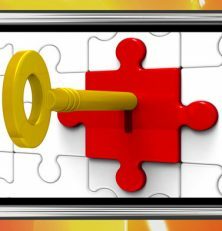 You can completely lock the device or lock it for a few hours to make sure that kids focus on their studies. mSpy offers basic monitoring functionality, as well as advanced features like Phone Surround Recording and Call Recording. This option allows you to listen to calls and to hear the sounds of the environment where the child is. There is a practical function that lets you set up alerts whenever your kid calls a specif number. You can also define keywords or phrases and get notified if they are mentioned on a text or email. With mSpy, you will know what your kids are up to and will be able to prevent or control any dangerous situation. The app will alert your by email or sending you a text. Highster is a practical solution to monitor your children. It allows you to check text messages, call logs, contacts, emails, browsing history and it also features GPS location tracker. The advanced options give you access to popular apps like WhatsApp, Viber. Facebook Messenger, Google Hangouts, BBM, Smapchat, Instagram and more. The app is compatible with Android, iOS and BlackBerry. It is an easy to use and affordable way to monitor your kids. Highster and mSpy are two of the best solutions for parents who want to keep an eye on their kids, without raising any suspicion. You will always know the truth, even if your child is not willing to let you know if they are in trouble. Spy software offers greater functionality than Parental Control programs. You just need to download and install the software on the target phone and then you can access all the data in the control panel by logging into your account. Only you will be able to see the information by accessing the account using your password. If needed, you can also import the recorded data to Excel. Conclusion – Do you need to use Spy Apps? For parents, the safety and well-being of their kids is a priority. Communication is the best approach and talking openly to children about the threats and dangers (such as cyberbullying and online predators) that they may face on internet is essential. They should know that they can always count on their parents’s advice and guidance. If you are in a situation in which you need to take additional measures to ensure that your kids are safe, spy software may be the best choice. Smartphones and tablets hold a lot of information about your kids, including the people they talk to and the places they visit.Getting to see exactly what is going on in your child’s life will allow you to get peace of mind if there are no issues or to take the necessary steps to help them if they are in danger. Spy software is convenient because it lets you monitor a wide range of activities in a stealth way, which will help you to avoid any issues.